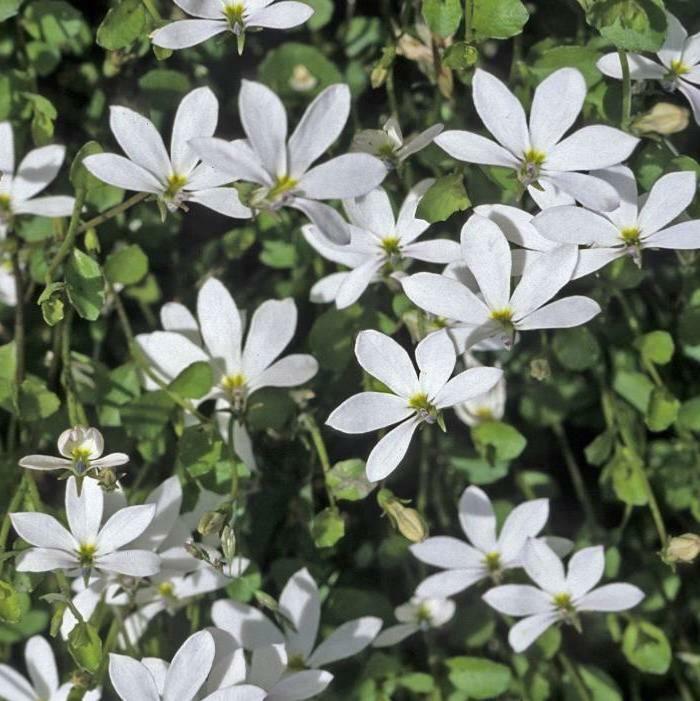 Pratia angulata 'Treadwellii' is a miniscule groundcover only about 5cm or so tall of tiny-tiny soft leaves, it is covered throughout the spring and summer in proportionately large white star flowers, occasionally so covered so as to hide the foliage on this spreading little plant. 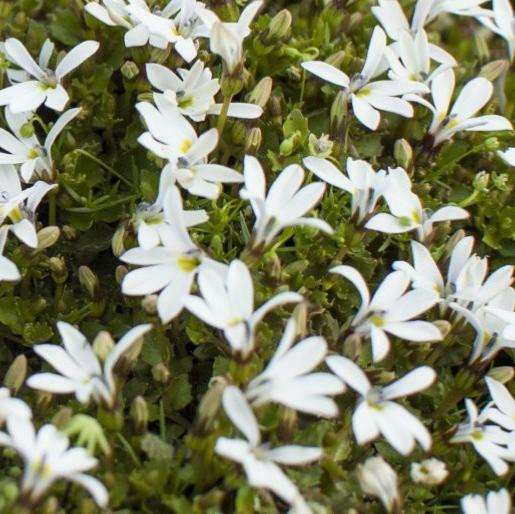 You would think it a bedding plant on first inspection, but it is a very hardy and sometimes evergreen ground cover plant, that can be used anywhere that is not too dry. 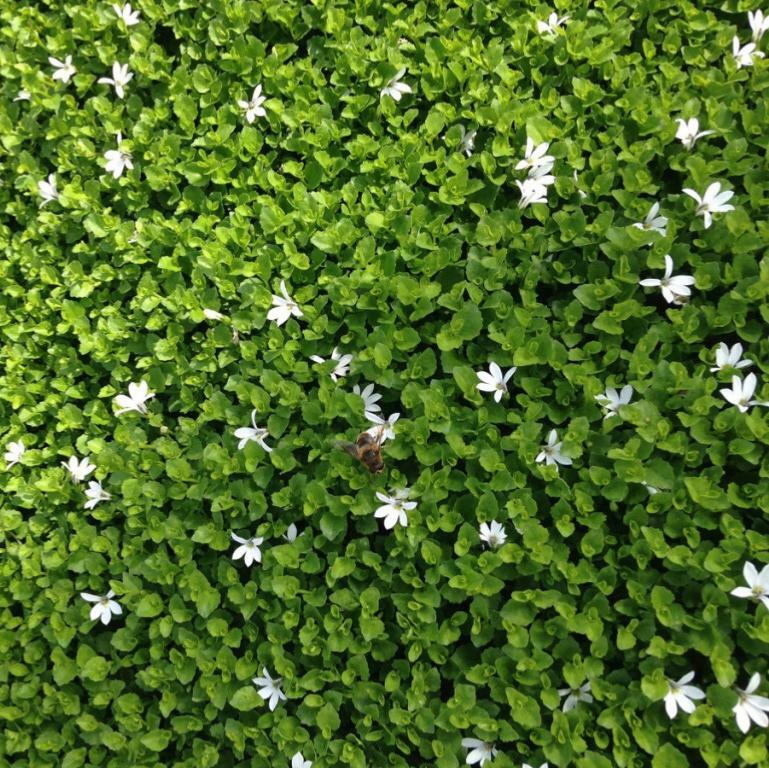 White star creeper can form a deep pile carpet and look like a lawn or moss but with flowers. In rich soil it spreads swiftly to fill a confined space but is too small to displace anything and it i good for path edging and between pavers if not actually walked on. It is hardy even under adverse conditions, but generally only really beautiful when not experiencing too much adversity. It is evergreen where winters are exceedingly mild, it does partially die back but returns swiftly at first hint of spring. Named for Lieutenant-Colonel Charles Archibald Lawrence Treadwell (1889-1966),soldier & author from New Zealand, who wrote a history of the Hutt River.